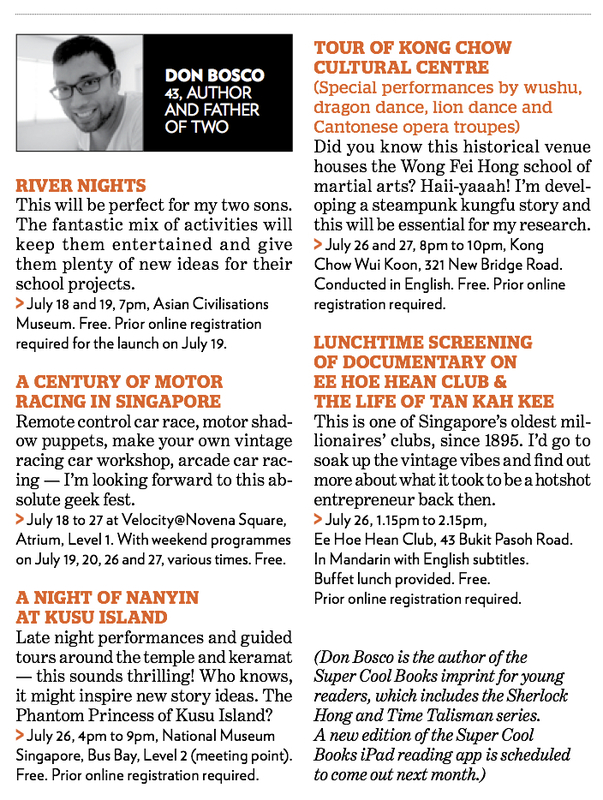 I'm in today's newspaper, talking about the coming Singapore HeritageFest (18-27 July 2014) and picking out five events that I'd like to check out. As you know, many of our Super Cool Books stories are inspired by the history, cultures and legends of Singapore and Malaysia. 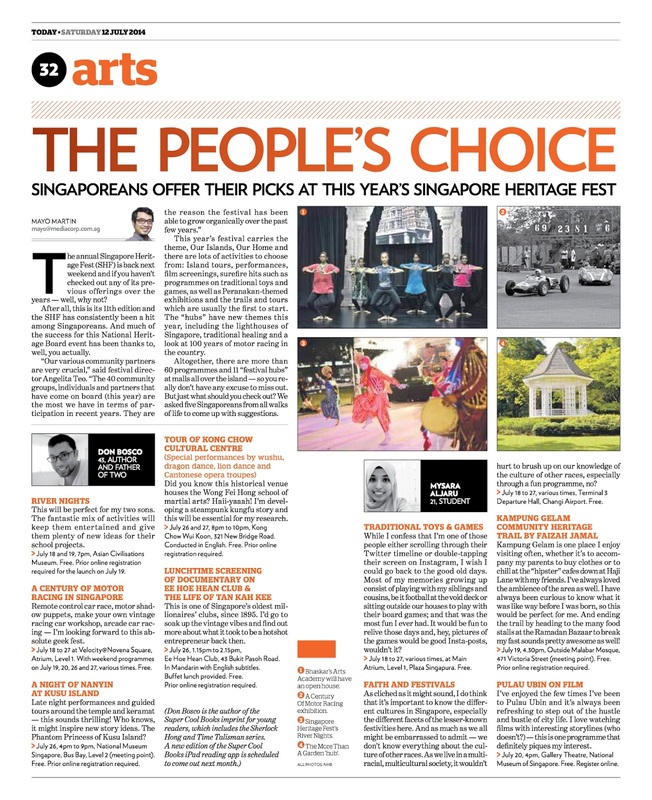 Read the whole article at the newspaper's website here. Also: an earlier interview in What's Up newspaper, where I explain why I'm intrigued by historical oddities, and how I approach the research process. Have a good weekend!